Slatwall Solutions for storage and display. Slatwall is a popular storage system choice because of its beauty, versatility, strength, and durability. 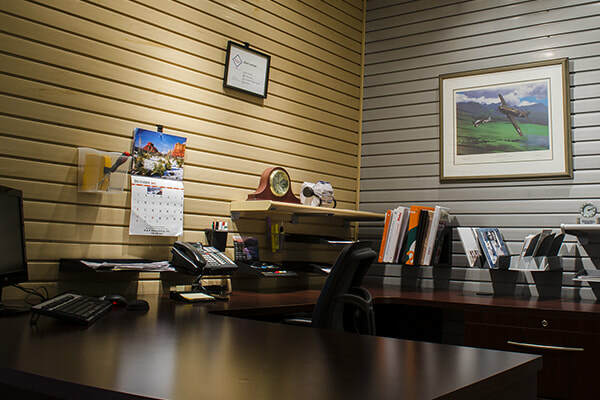 Today’s slatwall looks great in your garage, home office, business office, lobby, or retail space. Slatwall provides you with a dynamic storage and display system that can be rearranged as your needs change in the future. We have several grades of slatwall available. Our best is $12.99 a sf and our medium grade is $10.99 a sf installed. Minimum install order amount is $500.